Superior silicone sealant that is permanently waterproof. Guaranteed to stop black mould growth for 10 years. 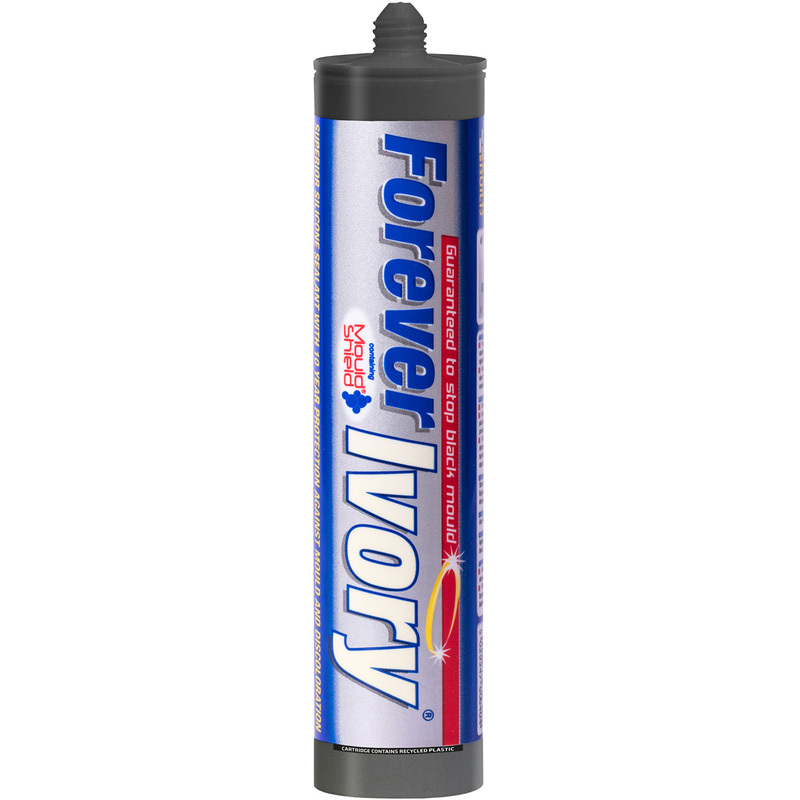 Forever White Sanitary Sealant 310ml Ivory is rated 4.7 out of 5 by 49. Rated 1 out of 5 by Floodbond from Nasty stuff I tried both tubes just to make sure it was not a bad one off tube,this is saggy and has poor opacity, stick with Dow coming much better than forever white product. Rated 5 out of 5 by Charles 123 from Stays white Have used for years because it works well. Rated 5 out of 5 by Brian50 from Top quality silicone. I used Toolstation again to buy the Forever White silicone. Very easy to use & equally nice finish.